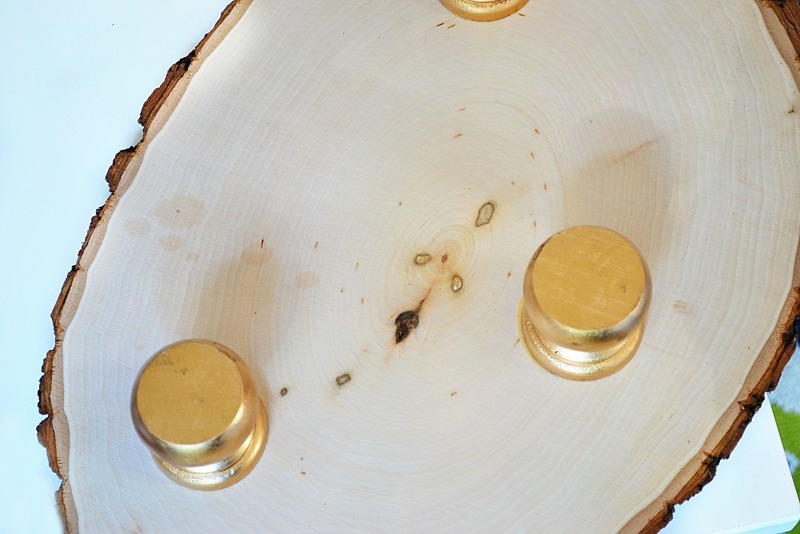 You can anchor your wooden trays with either feet or a larger base. 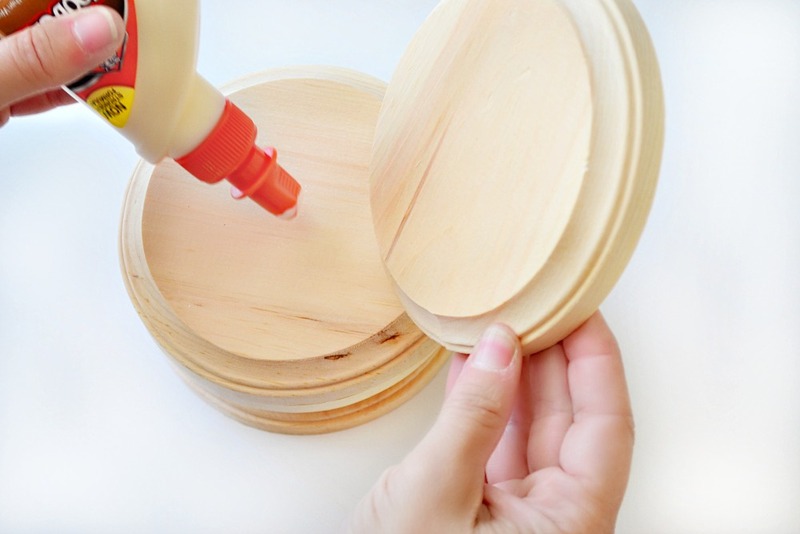 To create the bases for trays glue four wooden circles together. Glue the two smaller surface sides back to back, to create two sets. Stack the two sets together, gluing the larger surface sides to each other. Allow to dry thoroughly. Once the glue on your tray base has dried completely, gild the feet and bases for your trays using gilding liquid and an angled brush. Be sure to shake your gilding liquid well before using. Apply two or more coats for desired look. Allow to dry. 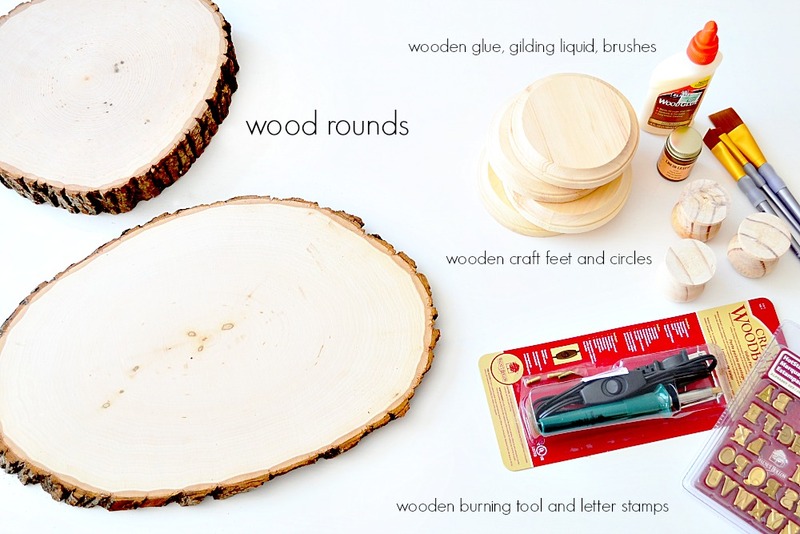 Using wood glue, place and attach either your feet or your base to a wooden round. Be sure to place the feet or base where they will offer the best support to your trays. Allow glue to dry thoroughly. 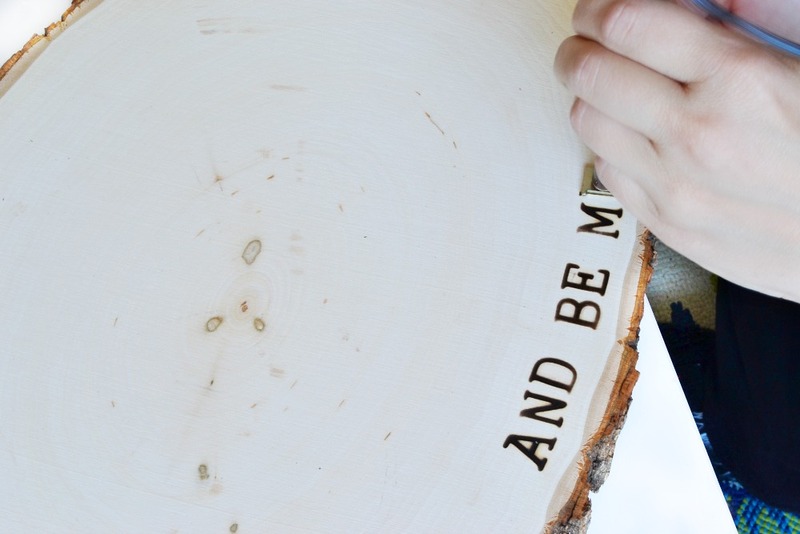 For a fun additional element to your trays, use a wood burning tool and wood burning letter stamps to create seasonal sayings and quotes. Follow the directions carefully for using your wood burning tool as they are very hot! 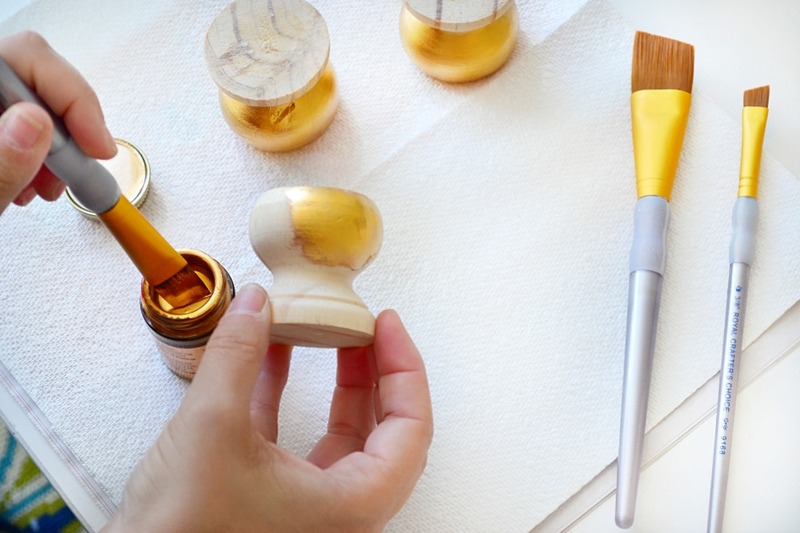 For quick clean up and to use time and time again, finish off your trays with a quick coating of a food grade water-based acrylic wood sealer or tung oil. 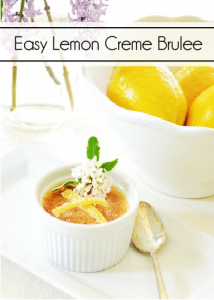 Serve Your Holiday Desserts in Style! 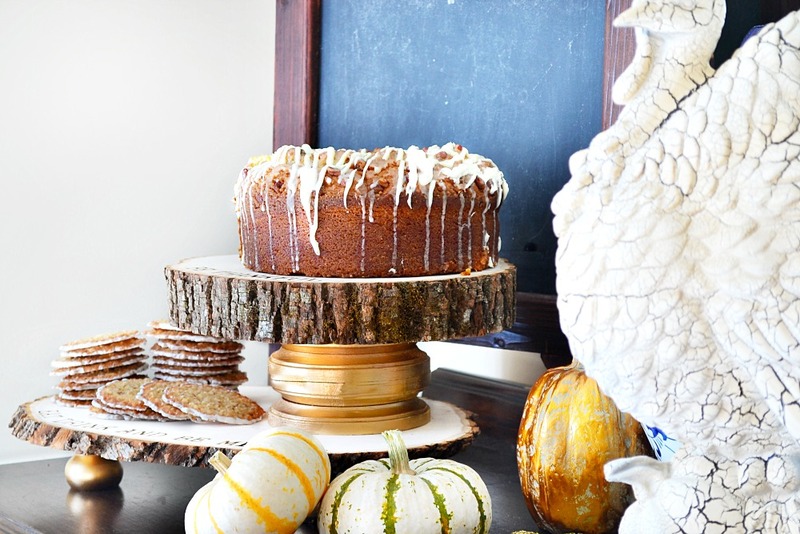 These wooden dessert trays can take a place of honor on the buffet or at the center of your table. Stack them for a fun layered look with smaller desserts on the bottom and pies or cakes on top! Thanks for joining me here…at the picket fence! 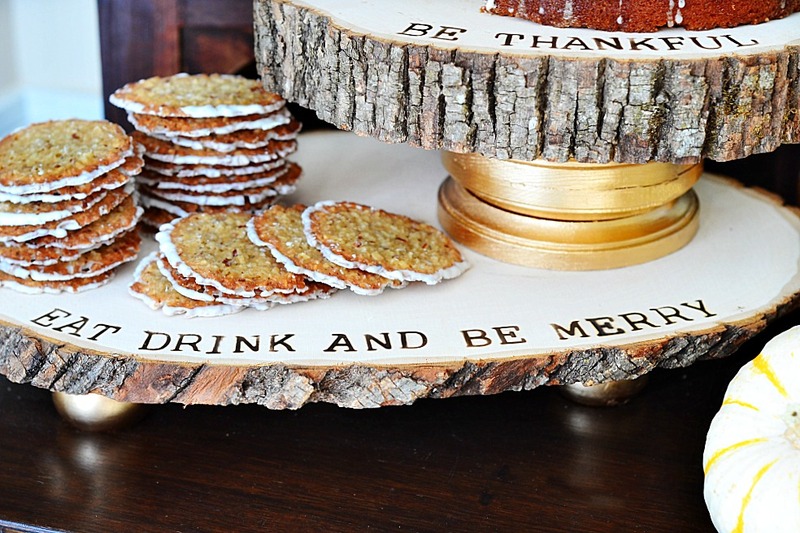 7 Comments on "DIY Wood Slice Thanksgiving Serving Trays"
Thanks for sharing this creative idea. I love wood rounds. These look great. Did you have to do anything to make them safe to serve food on them? Great idea. What I really would like it the name and/or recipe for the cookies! What are those flat cookies that have white edges? 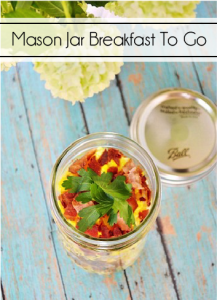 Love this DIY…Thank you! 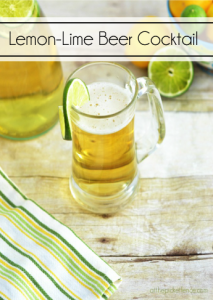 I’ll be making it…and would like to make the cookies too. Can you please share the cookie recipe or what they are called?